President Emmanuel Macron was forced to his knees on Monday and appeared on live TV in an attempt to placate the Yellow Vest demonstrators and control the ongoing crisis in France by promising a series of concessions. Macron’s offers, including a rise in the minimum wage and tax exemptions, have however been rejected by the protesters and some opposition politicians. The Yellow Vest movement want a five year freeze on tax hikes and are demanding that all the mega corporations including StarBucks, FakeBook, PayPal, Google and Ebay pay back dated tax bills into a Social Fund not under the control of any politician. One French politician, Jean-Luc Mélenchon, has called for the “citizen’s revolution” to continue until a fair distribution of wealth is achieved. He argued that Macrons promise of a 100-euro minimum wage increase, tax-free overtime pay, and end-of-year bonuses would not affect any “considerable part” of the French population. RT reports: Immediately after French President Macron declared a “social and economic state of emergency” in response to large-scale protests by members of the Yellow Vest movement, promising a range of concessions to address their grievances, left-wing opposition politician Mélenchon called on the grassroots campaign to continue their revolution next Saturday. “We expect a real redistribution of wealth,” Benoît Hamon, a former presidential candidate and the founder of the Mouvement Génération, told BFM TV, accusing Macron’s package of measures that benefit the rich. Although welcoming certain tax measures, Marine Le Pen, president of the National Rally (previously National Front), accused the president’s “model” of governance based on “wild globalization, financialization of the economy, unfair competition,” of failing to address the social and cultural consequences of the Yellow Vest movement. Yet many found Melanchon’s calls to rise up against the government unreasonable, accusing the 67-year-old opposition politician of being an “opportunist” and “populist,” who is trying to hijack the social protest movement for his own gain. Furthermore, some 54 percent of French believe the Yellow Vests achieved their goals and want rallies to stop, OpinionWay survey showed. 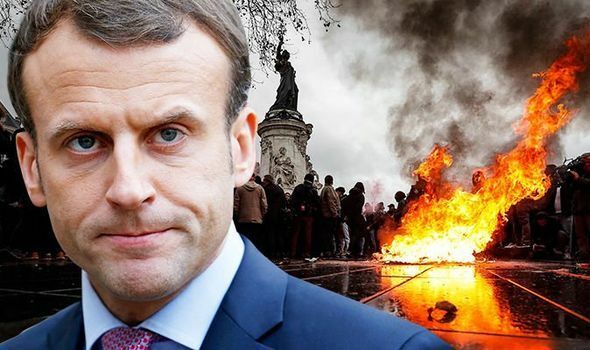 While half of the survey respondents considered Macron’s anti-crisis measures unconvincing, another 49 percent found the president to be successful in addressing the demands of the protesters. Some 68 percent of those polled following Macron’s speech on Monday especially welcomed the increase in the minimum wage, while 78 percent favored tax cuts.